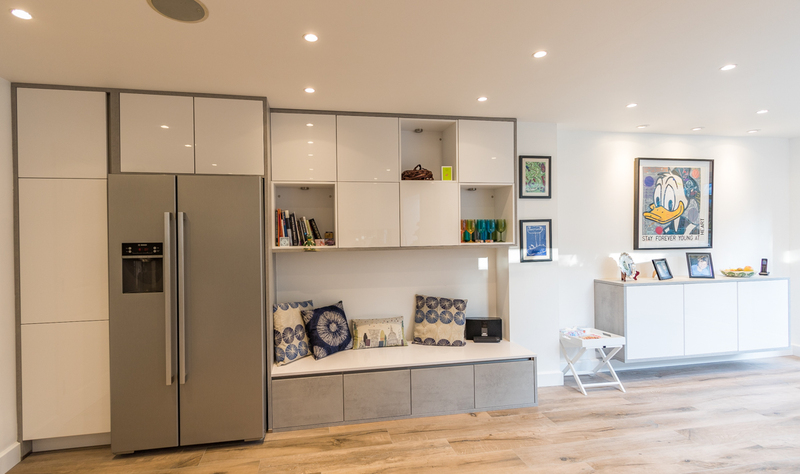 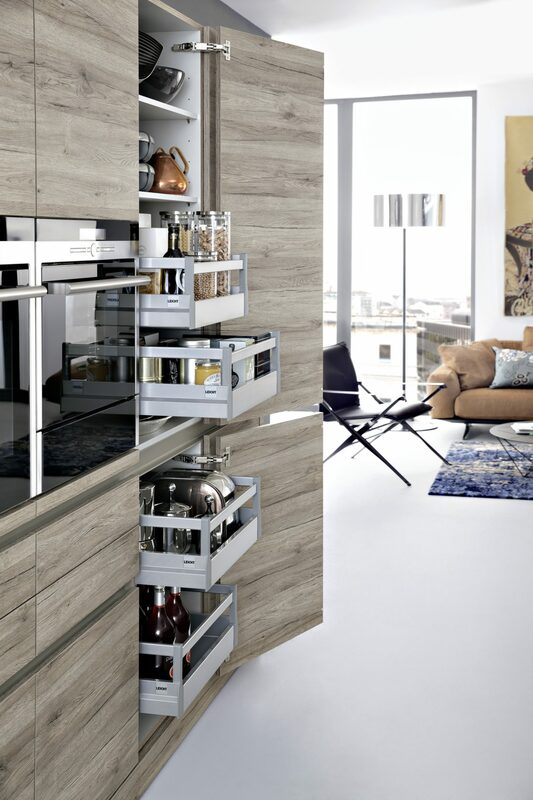 With our new functional range of interiors, the concept of tidy and organised reaches a completely new dimension. 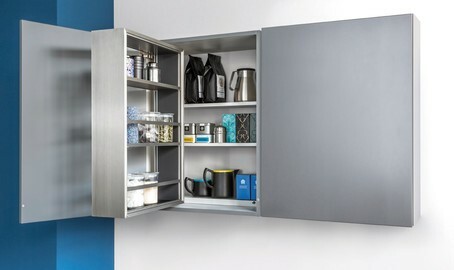 Our lightweight to look at and easy to use storage solutions will most definitely inspire you. 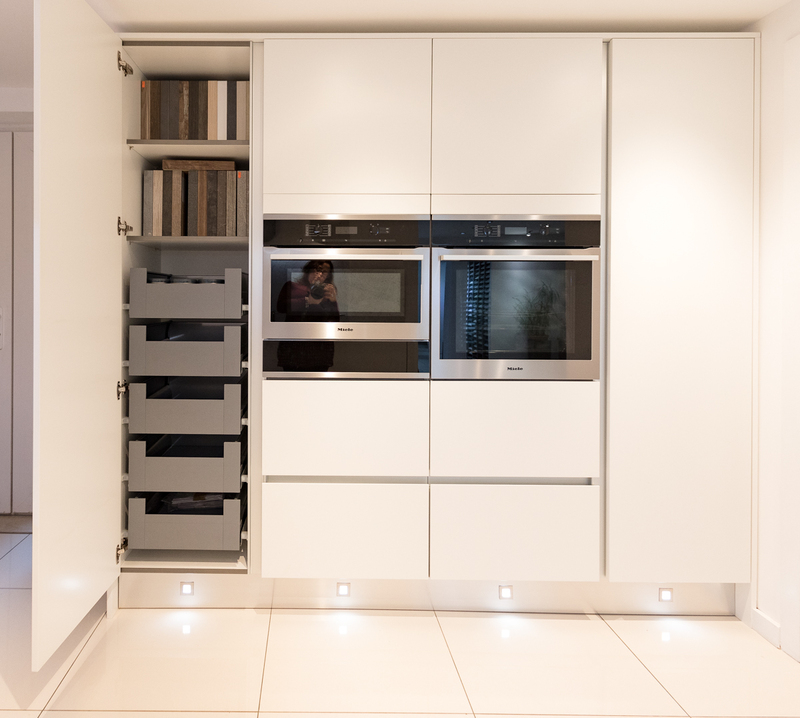 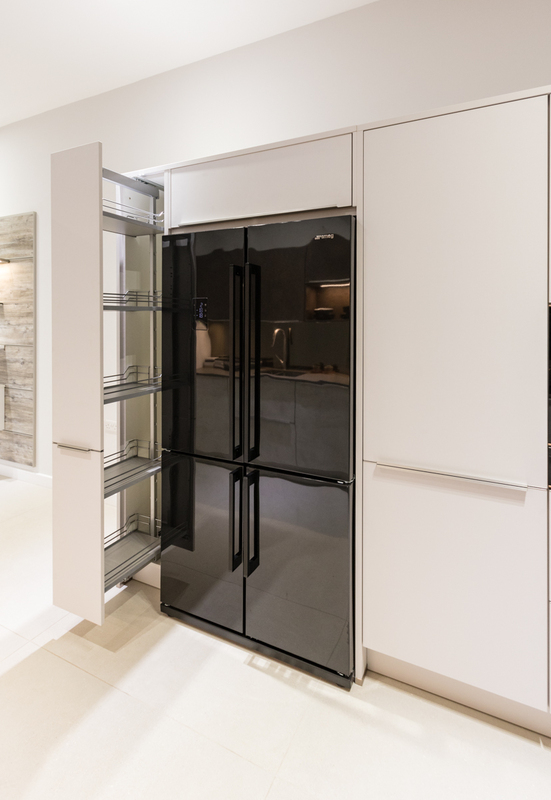 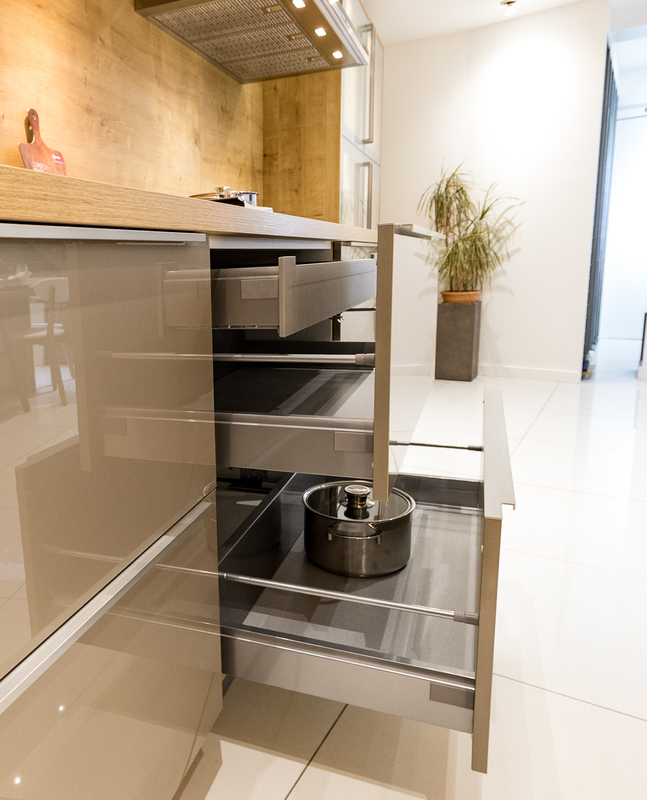 This top of the range unit from Leicht is equipped with organisational elements and attractive materials, like the aluminium edges, that will, no doubt, bring elegance and functionality to your kitchen.  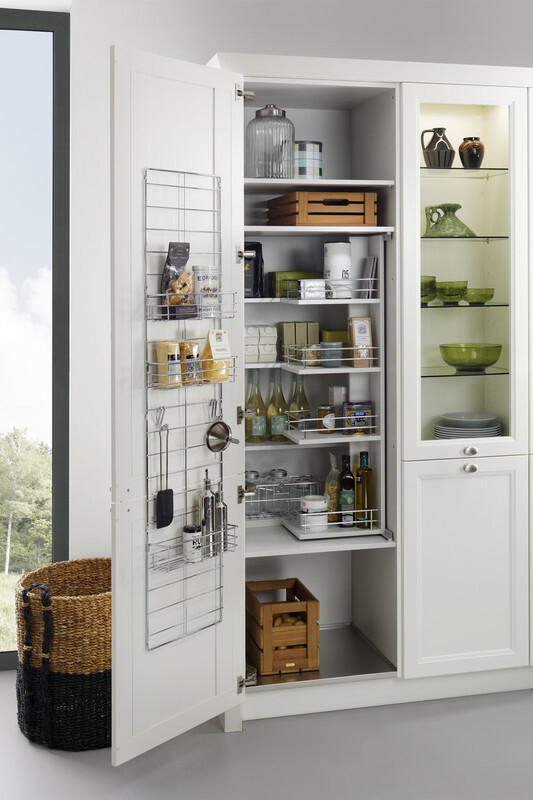 For more kitchen storage ideas , visit our Kingston Showroom.